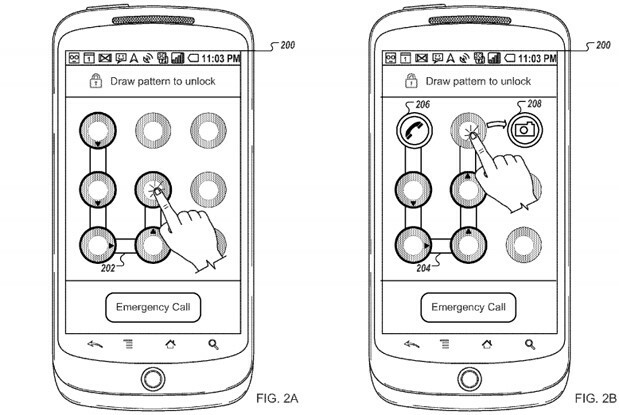 If Google ever puts its newly appointed patent into affect, folks who opt for a more secure way to unlock their device may not have to give up those wonderful lockscreen app shortcuts. The idea is super simple – a user can create custom unlock patterns for their lockscreen, and each of the custom patterns can open a different app (camera, music, email, etc.). Smart idea, right? A feature like this would be very easy for Google to work into a new version of Android, so our fingers are crossed that this feature can come to fruition sometime in the future for everyone.